Musicians and music makers looking for a modular analogue synthesiser may be interested in a new desktop system which has been created by Plankton Electronics based in Barcelona Spain. The synthesiser is capable of creating a pure analogue sound, and offers both an affordable and modular system which is available to back via Kickstarter with pledges starting from €419, and shipping expected to take place during the spring 2017. • Analog: true analog electronics and sound. 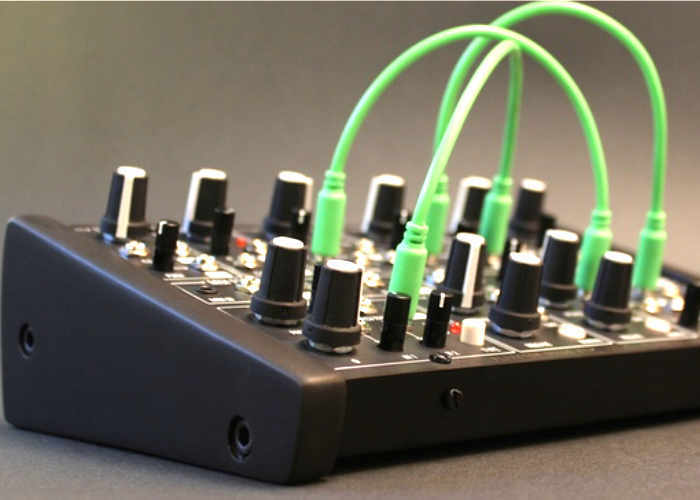 • Modular: connect the different parts and functions with standard 3.5mm pacth cords to create from classic to weird and new sounds. • Affordable: Ants! retail price will be 480€. Just a fraction of the cost of a basic eurorack modular system. • Compatible: 100% compatible with the eurorack voltage system and patching cords. It can be expanded it with most of the eurorack modules available in the market. • Portable: small size and desktop format. • Big: despite the small size Ants! have a lot of features which make it very powerful and versatile. Much more than a basic modular system. For full specifications visit the Kickstarter website via the link below.